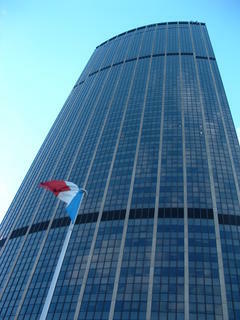 After sleeping off "La Nuit Blanche", we decided to explore the nearby quartier of Montparnasse. Bracing ourselves against the crisp wind, we made our way along Blvd. St. Jacques to Place Denfert Rochereau, a pleasant little square celebrating the accomplishments of a Colonel in the 1870-1 Franco-Prussian War next to the rather grand station of the same name. After stopping for a quick restorative crêpe from a pavement stall, we wandered towards the famous Cimitière du Montparnasse. To our disappointment, we discovered that the cemetery closed at 6pm. At 5.40, the guard at the gate to the larger part of the cemetery seemed less than happy at the idea of us going in, so we went to have a quick look round the smaller, southern section instead. The tombs were impressively laid out on family plots in rows along the streets of death. A lady passing us on her way out seemed quite concerned that the guard knew we were in here, as it was about to close, so we decided to make our way out, and return for a proper visit at a later date. This turned out to be for the best, as the guard took our departure as the cue to lock the tall wooden gate and walk between the tombs blowing a harsh whistle. It wasn't clear whether he was trying to wake the dead, or simply warn the living that he was about to release the dogs on them if they didn't leave, but it occurred to me that the French specialise in unfriendly law enforcement officers in oppressive-looking uniforms. Usually armed, too. Indeed, only the French could see the need to guard the dead so diligently. A rather pleasant street market on the Blvd. Edgar Quinet bore testament to Montparnasse's artistic heritage of the post-WWI era; with artistic treasures in a variety of media on display, this laid-back market is a nice place to look for gifts. However, with not a price-tag in sight, looking at them is probably all you'd be likely to do. 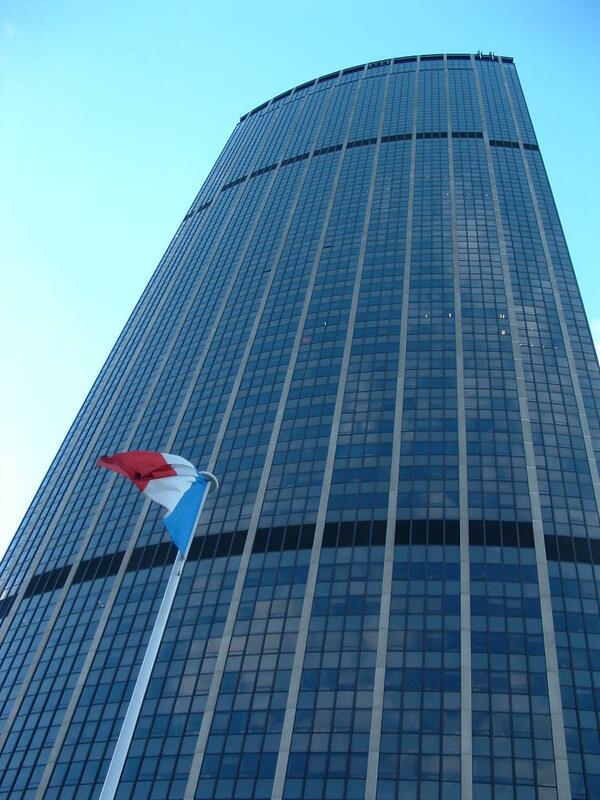 This led up to the Tour Montparnasse, charmingly referred to as a "startingly ugly oversized lipstick tube" in my copy of Lonely Planet. Not much to say about it, really: probably worth going up some day, but it was bloody windy, so we decided to give it a miss. To round off our travels, we wandered around the local area looking for a suitably affordable café for a well-deserved coffee, which we found as soon as we got round the corner from the tower. Montparnasse seems more like the sort of place to go in the evening, rather than the afternoon, with an interesting variety of restaurants and bars.